Jul 5, 2017:According to recent reports by The New York Post, the U.S. telecom behemoth Verizon Communications Inc. (NYSE:VZ) is planning to acquire The Walt Disney Co. (NYSE:DIS), a leading media and entertainment giant. However, neither of the companies confirmed the news. 電信業變化趨勢：It is to be noted that, exponential growth of mobile data usage supported by flourishing high-end smartphone and tablet devices has changed the entire industry dynamics of the traditional telecom and cable TV industry. Therefore, merger between telecom or cable TV operators and media giants has become crucial as both the sectors are aggressively delivering content on online digital platform. 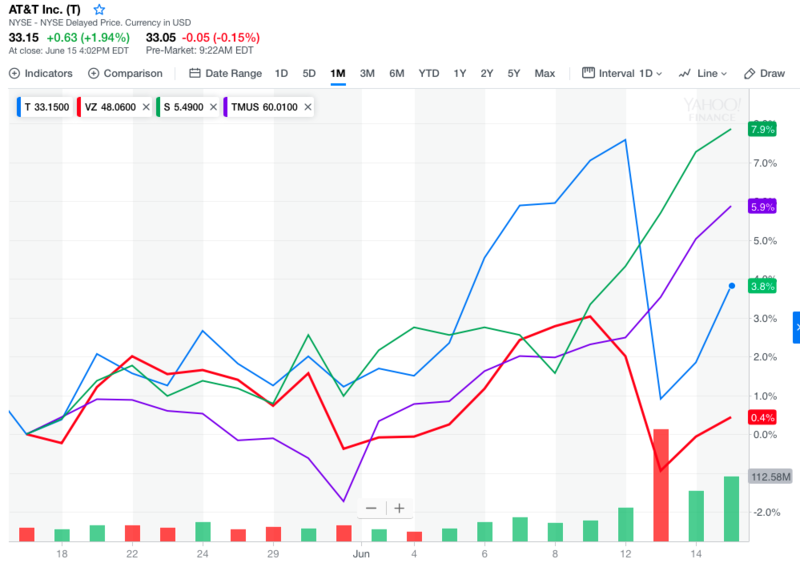 T merge TWX消息公布後，看到VZ最新的策略心都冷了：But Verizon CEO Lowell McAdam told CNBC last month that buying a large pay-TV company is "not our strategy," and the naming of successor Hans Vestberg, currently Verizon's CTO, suggests the company is more concerned with rolling out 5G than copying AT&T.